Let's celebrate "Cinco de Mayo". 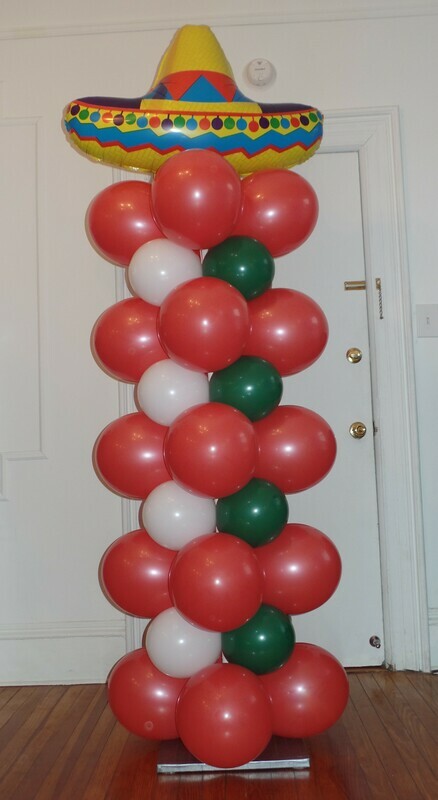 I created this balloon column using the Mexican flag colors of red, white and green. 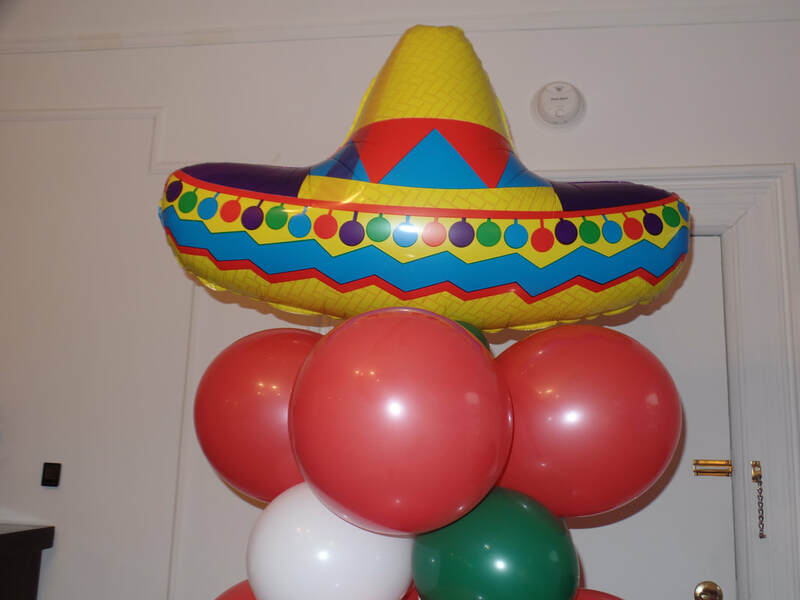 The topper is a colorful "sombrero" foil balloon.